Who could resist this fair trade, handmade large crab toy? 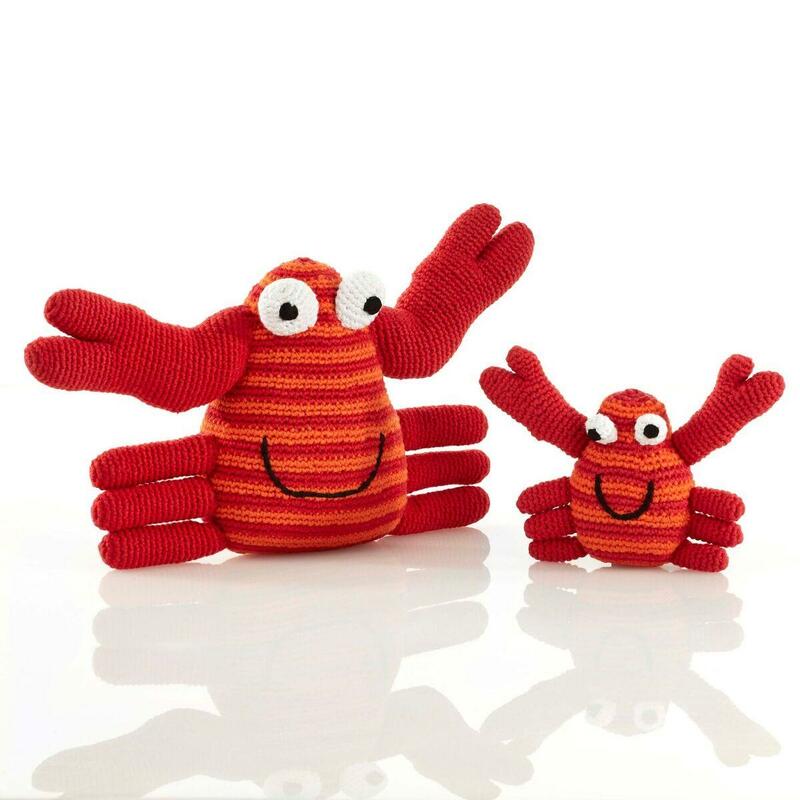 Part of our popular seaside range this large crab toy with red and orange stripes is a friendly friend and ideal soft toy for any child. Its pincers and legs make it easy for a small child to carry around. Suitable from birth, handmade, fair trade and machine washable.